Malta is a very small European country, but they have had an incredibly large impact on how licensing is handled for online gambling on a global scale. They were the first European country to offer licenses for the industry, and now they are known as being one of the top jurisdictions that you will want to see when looking for the licensing information for a site you’re playing with. They’re very trustworthy, and they aren’t afraid to pull licenses or enact other measures to enforce their rules and policies, which gives them a lot of authority overall and a lot of trust from players. To understand why Malta’s online licensing processes have been so successful, you have to understand the nature of their land-based gambling industry. This is a small country, but they have a very open stance towards gambling to the point that there are multiple casinos, racetracks, bingo halls and other gambling opportunities despite the fact that the total size of the company is less than 320 square kilometers (under 125 square miles). Their incredibly dense population of more than 450,000 people helps to fuel this industry as well. Malta awards licenses for five-year periods, and after that, they have to be renewed. There are four different types of licenses to cover four different types of operations. A class one license is awarded for operators who are running lottery-based games and casino-based games that are primarily the player against the house. This is one of their most common forms of licenses since it covers the types of games that are the most popular in the industry as a whole. A class two license is for betting sites, and a class three license is for poker sites and other peer-to-peer betting exchanges. The class three license is important because there’s a distinction here where Malta offers a different type of license for games that involve players facing off against each other. As we’ve seen with various online poker scandals over the past couple of decades, it’s clear that special considerations have to be made for this type of gambling because of the ability for cheating to happen on a high level. Finally, we have the class four license that is held for companies that provide software. This includes auditing random number generators, making sure that the games offered are fair within certain parameters, and testing software. They need to make sure that it hasn’t been altered in any way that allows software developers or operators to either cheat by winning at the games with hidden mechanisms (thereby ripping off the casino or other type of operator itself). They also have to make sure that there are no hidden mechanisms that allow operators to increase the house edge beyond what’s deemed acceptable by the Gaming Commission of Malta. Malta is looked at as one of the top online casino licensing jurisdictions in the world because they’ve proven that they’ll take action against licensed companies that break their rules. This gives players peace of mind in knowing that they’re going to be taken care of. 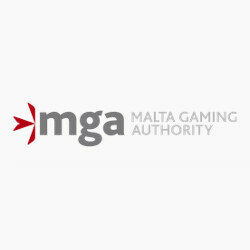 Along these lines, they have been looked at as one of the pioneers when it comes to regulating online gambling, and many jurisdictions running today have modeled themselves after Malta’s success.